Spring/Summer is the time for freshness, for symphonic citruses exploding in pyrotechnic displays of refreshment. It’s the season of big fragrant drinks of H20 – aquatics and colognes parching the thirst, with solar florals emphasising the sun. 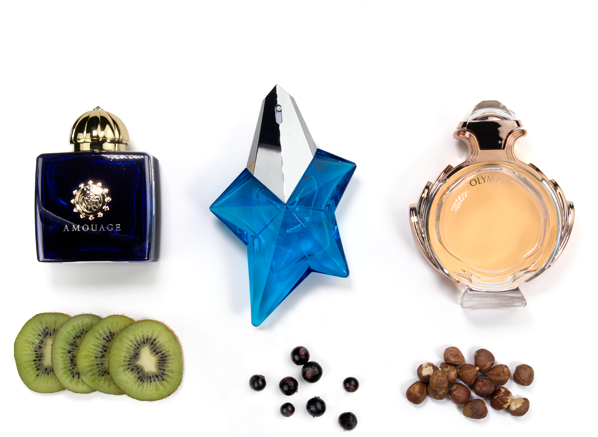 The one style that shouldn’t be worn in summer is the gourmand – those foody fragrances that evoke delicious treats. They’re just too heavy and imposing for the warm weather, or are they?! Some gourmands are actually perfect for summer because they present an unusual twist on the genre or perhaps because they showcase deliciousness in a lighter way. These scents of summertime sweetness are as appropriate as candyfloss on the pier and toffee apples at the funfair – they are just right and they prove that even in summer, one’s sweet tooth can always be satiated. So, don’t push those gourmands to the back of the closet just yet, explore this post and you’ll find some sweet summer inspiration! Now I’m a lifelong wearer of Angel and there is no season too hot or too cold, or occasion too formal that will prevent me wearing the big, bad beauty. I will wear it any day, any time, but I’m aware that not everyone is mad enough to do that because Angel is a big fragrance with a lot of weight. So for those of you who want an Angelesque edible treat, but with a lighter toucher for the warmer months, well, Angel Fruity Fair is just what you have been looking for. Angel Fruity Fair is, as it sounds, a carnival of fruity fun. The top notes are packed to the brim with berries and fruits, with candied apple, blackcurrant and lychee coming together to create a juicy, sweet fruit accord with a hint of dewy freshness. Underneath is the signature Angel clash of patchouli and vanilla, however, this time things are softened and made smoother with a delicious whipped cream accord, which brings a bit of lightness and space to Angel’s density. 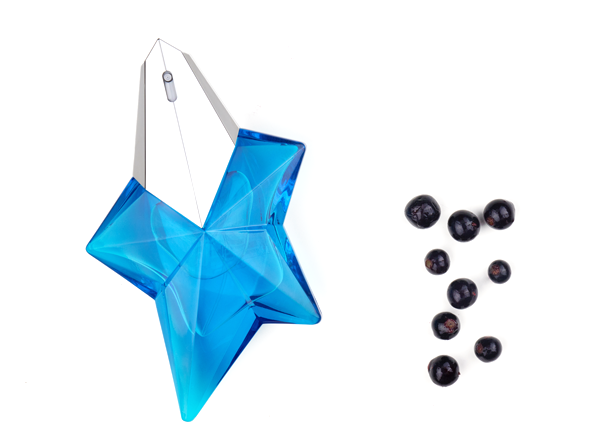 Angel Fruity Fair is the perfect summer scent for those of you who have a bit of a sweet tooth and a fruity personality. Olympēa is a truly interesting and innovative fragrance because it straddles two genres that very rarely come together – the gourmand and the aquatic. On the one hand, it’s a deliciously nutty treat that, if it weren’t a fragrance, would be lovely spread on toast, whilst on the other, it feels as if was birthed from the shell of an exotic oyster in the shallows of Greece’s coastal waters. It manages to be both of these things but also something more –a new style of fragrance entirely. 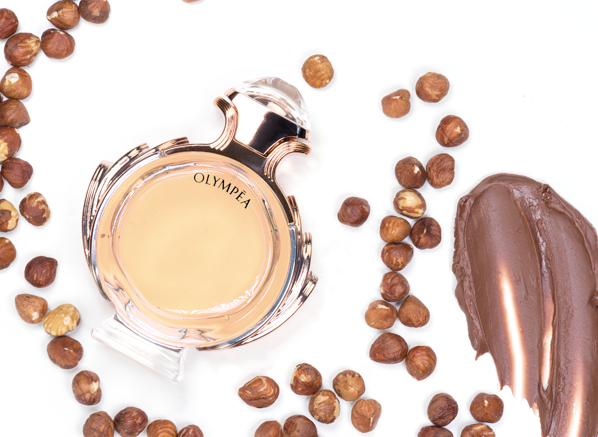 So as for the gourmand aspects, Olympēa contains filbertone, which is essentially the material that gives hazelnuts their hazelnutty odour. In the fragrance, the material lends a creamy saltiness that is then blended with pink fruits, something not far of sunblock, and marine nuances to create an olfactory Aphrodite. It is absolutely delicious and also absolutely perfect for the summer. In fact, if you wear anything else other than Olympēa on the beach then you are doing summer incorrectly! Now a chaotic oriental chypre doesn’t sound like the most summer-appropriate of scents I’ll grant you, but Interlude Woman is one of Amouage’s most fascinating offerings. It’s complex and heavy so you won’t want to spritz it on for the hottest part of the day, but if you’re off out to something fancy, perhaps an outdoor showing of a classic movie or maybe just a warm summer’s night walking under the stars, Interlude Woman has so much to offer. In Interlude there is a whole heap of stuff going on; rose, coffee, orange blossom, honey, ginger, oakmoss, leather – the list goes on, but the standout by far is the kiwi. 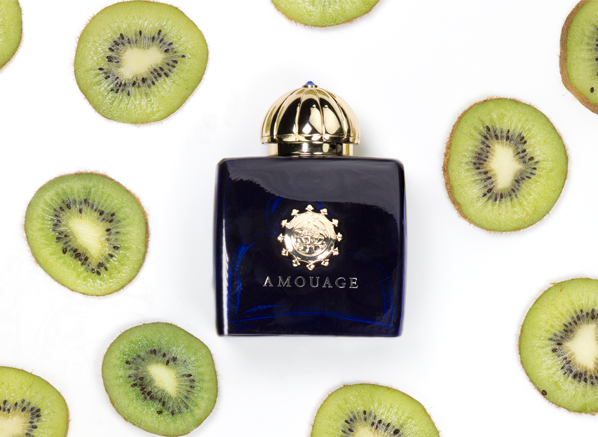 Crafted like a fine fruit jelly, this kiwi note has the most fascinating texture, appearing crystalline and juicy but also thick and multi-dimensional. There really is nothing else that smells like it and it cuts right through all of the heft and weight to create a glistening, delicious composition for those who like a bit of high art in their fragrance. This entry was posted on Wednesday, May 2nd, 2018 at 3:49 pm and is filed under Uncategorized. You can follow any responses to this entry through the RSS 2.0 feed. You can skip to the end and leave a response. Pinging is currently not allowed.